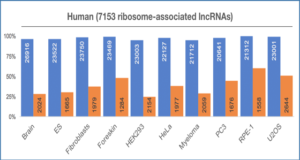 Long non-coding RNAs (lncRNAs) have recently been shown as novel promising diagnostic or prognostic biomarkers for various cancers. 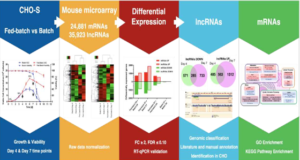 However, lncRNA expression patterns and their predictive value in early diagnosis of myocardial infarction (MI) have not been systematically investigated. 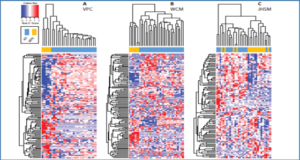 In this study, researchers from Harbin Medical University performed a comprehensive analysis of lncRNA expression profiles in MI and found altered lncRNA expression pattern in MI compared to healthy samples. 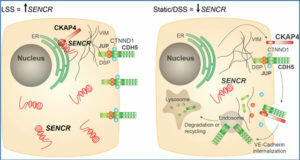 They then constructed a lncRNA-mRNA dysregulation network (DLMCEN) by integrating aberrant lncRNAs, mRNAs and their co-dysregulation relationships, and found that some of mRNAs were previously reported to be involved in cardiovascular disease, suggesting the functional roles of dysregulated lncRNAs in the pathogenesis of MI. 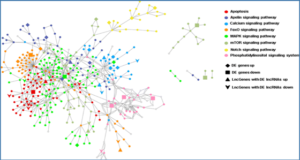 Therefore, using support vector machine (SVM) and leave one out cross-validation (LOOCV), the researchers developed a 9-lncRNA signature (termed 9LncSigAMI) from the discovery cohort which could distinguish MI patients from healthy samples with accuracy of 95.96%, sensitivity of 93.88% and specificity of 98%, and validated its predictive power in early diagnosis of MI in another completely independent cohort. 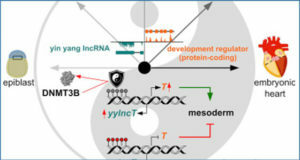 Functional analysis demonstrated that these nine lncRNA biomarkers in the 9LncSigAMI may be involved in myocardial innate immune and inflammatory response, and their deregulation may lead to the dysfunction of the inflammatory and immune system contributing to MI recurrence. 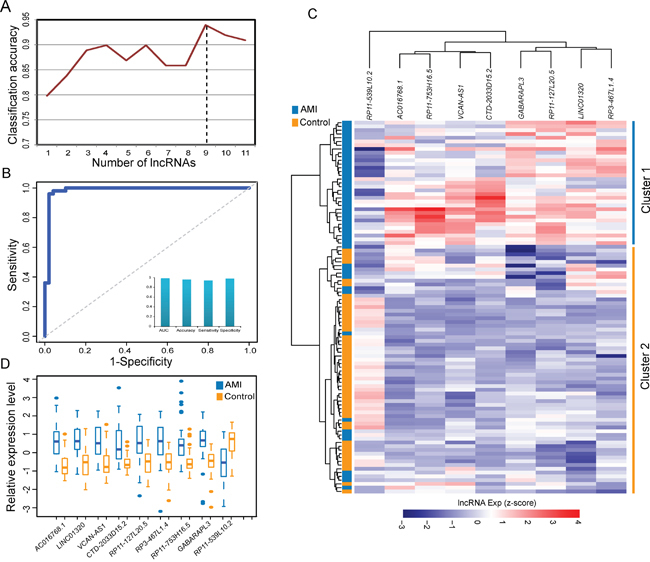 With prospective validation, the 9LncSigAMI identified by this work will provide additional diagnostic information beyond other known clinical parameters, and increase the understanding of the molecular mechanism underlying the pathogenesis of MI.